I wish you a very happy Wednesday morning! The story of today’s about DJ Superstar Paul Kalkbrenner. 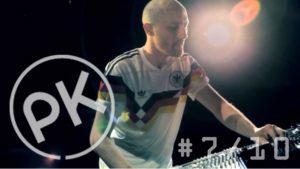 Paul Kalkbrenner was one of the many artists to produce music for FIFA 17. The music is selected in a way that you may find a new favorite artist. If you’re a real FIFA player, you must have heard Paul Kalkbrenner’s “Scream”. And here’s Fritz and Paul Kalbrenner’s biggest success, “Sky & Sand”. Here’ s Paul Kalkbrenner’s “Feed Your Head” – 12,5 Million YouTube views.